1- How's next season looking for the New York Mets, in your opinion? As a true Mets fan, I will tell you that the Mets will undoubtedly win the World Series in 2019. But more honestly, they have a lot of talent and you never know how far it will take them if their players can stay off the disabled list. 2- How often have people said you look like actress Justine Bateman? Gotta find more fans of Family Ties or Men Behaving Badly. 3- Would you please, in 160 characters or less, give a #WriteTip ? Never let anyone tell you that you need to learn how before you write. Get feedback and take it to heart, especially about voice and tone and pacing, but be your own final judge and best advocate. I have always loved to write, from my high school days on the newspaper to philosophy essays in college to my appellate briefs. But what really got my pulse racing was the first time a creative piece – a non-fiction personal essay about my mom – got published on the Internet. Being able to share with readers and interact made all the difference. 6- Would you share a picture with us of your book somewhere in New York? My book has not been released yet, so it hasn’t really gotten out and about in New York! I hope to soon have pictures of my book in different exciting locales around the world soon! 7- What are some of your short and long term writing goals? I have a draft of a middle grade novel that I am shopping around now. My next project is a new novel, tentatively entitled Both Are True. 8- How did working as an appellate attorney representing criminal defendants help you write this book? In lots of ways! First of all, the legal issues in the novel were inspired by a case that I handled as an appellate attorney. I strived very hard in the novel to have all the legal aspects be accurate so that attorneys reading the book would not say, “hey, that would never happen in real life!” The protagonist, Liana Cohen, is a young public defender who has become disillusioned with the mission of the public defender’s office and the clientele. Although I didn’t ever get to that point, representing indigent defendants charged with the most serious felonies and facing decades in prison is extremely challenging work and can be demoralizing at times. I think I was able to portray that effectively because I had lived it. 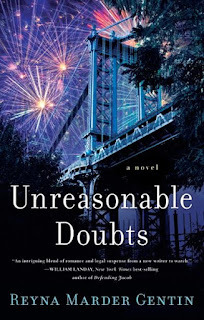 Love because: I loved the intensity of this book and the way the author raised the most sensitive and critical issues about parenting and loyalty and good and evil in a seemingly placid suburban setting. 10- In your opinion, how could people best prepare for later in life, such as making choices while still "middle-aged" so their adult children don't later have to make tough calls on their behalf? Wow – I think you’ve read some of my personal essays! I guess my best advice would be to always keep the lines of communication open. No topic should be off limits, and if something is genuinely important to you, you should let those around you know so that your wishes can be carried out. I would have to say honestly that my husband is my biggest fan at this point! (In fairness, because the book is not out yet, this is a limited pool!) I think he genuinely loves the writing and the way I express myself, but even more so, I think he loves that I put myself out there and did something bold and new and out of my comfort zone. 12- If you could say one more thing to your mom, what would it be? My mother and I were very close (as she was with my two sisters as well). We spoke every day, sometimes more than once, and I have no regrets about not saying any particular thing to her. But I would certainly give anything just to be with her again. I remember my rabbi who has since passed away himself saying to me, “it never really gets easier, does it?” and the answer is no, it doesn’t. 13- What emotions do you hope your book will evoke for the reader, and is there a particular scene you hope will resonate with readers? I hope that people will have empathy for Liana and the very difficult things she has to go through on her way to figuring out whom she can trust and learning what she wants out of her relationships and her career. I think the book has moments of real joy and real sorrow and real triumph, and I hope readers will relate to those moments. I think there are many scenes that will resonate with readers – I think many people will relate to the times when Liana loses her cool out of an excess of confused emotions – everyone has times when they wish they could really say what they think at work or with loved ones, and Liana speaks her mind. 14- Were you and your husband both involved in Orchestra, and if so, what did you two play? Ha! Yes, we were in the same high school orchestra. I was a very run of the mill violinist, and my husband was an excellent cellist. 15- What most helped you to improve your writing craft? I have spent the last four years studying different aspects of writing at the Writing Institute of Sarah Lawrence College. I have learned a tremendous amount from my teachers and fellow workshop participants. 16- What is the most memorable trait or visual oddity of one of your characters? Danny Shea’s tiny ladybug tattoo, right above his heart. The protagonist is a woman, and this is very much a story of how one woman chooses to take control of the things in her life that she can control, and let go of those she can’t. Another diverse character in the book is Gerry, Liana’s boss, who is gay and in a committed relationship. Although he and Liana have their differences in approach, Gerry is the character in the novel most devoted to the mission of the Public Defender’s Office and most concerned with protecting the rights of the indigent clients. 18- Which character has your favorite Personality Contradiction? Danny Shea is vulnerable yet outwardly self-assured. 19-Does your book hold a mirror up to society, and in what way? The book raises a number of issues that are hot-button issues in society today, although it does not offer any simple answers – just hopefully starts a discussion. The main character is, like many millennials, distanced from her faith. 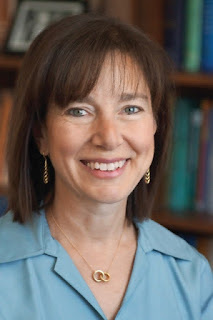 Through a friendship she develops with a rabbi, she becomes more open in learning about how Judaism may speak to issues she is grappling with her life, such as her relationships and her indecision about her job. I think this poses a question regarding how young people might become engaged with their religious communities in a way that recognizes that they need to opt in – that for most young people, religious observance and community involvement is no longer something they have “inherited” from their parents. 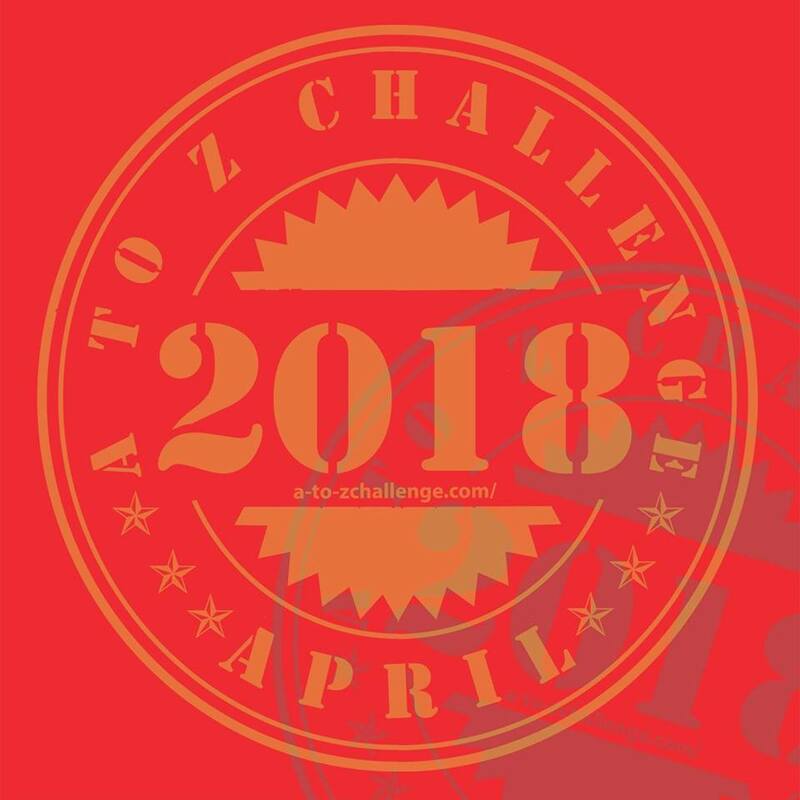 20- Can you think of any small change in the world you could make to benefit hundreds of other authors or readers potentially? I think authors and readers would be greatly benefited by more flexibility in the publishing industry – more different business models that allow people who don’t have an established platform to break in and share their talent with the world. 21- As a reader, what most motivates you to buy a new book to read? A personal recommendation from a trusted friend. 22- Who is your favorite book review blogger? I’m very up on Sandy Fluck at Bookscover2cover. 23- How will you measure your publishing performance? I am honestly enjoying the ride and every aspect of getting my book out there. This is a second career for me and an extremely exciting time in my life that I’ve worked very hard for, but which I never expected. I consider my performance a success already. 24- What was the deciding factor in your publication route? I had worked with an editor as well as workshopped the book for quite a while and I felt it was in very good shape. I was excited to work with a small press that would allow me to have maximum control over the content, as well as over the cover, title, etc. I also was intrigued by working with a publisher that publishes women writers almost exclusively, which allowed me to develop professional relationships with other emerging women writers. 25- What's the best book marketing strategy you've come across? I am still very new to the marketing aspect of this. I think I got very good exposure by doing give-aways on both blogs and Goodreads – whether that will translate into sales will have to be seen. 26- What is one question or discussion topic which you would like the readers of this interview to answer or remark on in the comments? 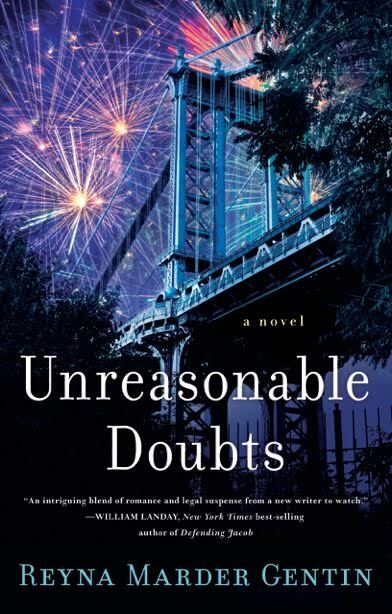 I would love to know what your readers think about choosing a book that crosses genres, something that I think limited me in finding a larger publishing opportunity – Unreasonable Doubts is part legal thriller, part love story, and is also categorized under Jewish fiction. Is it a plus or minus to be in a number of different categories? 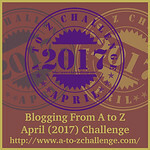 27- Anything else you would care to share about your book and yourself? REYNA MARDER GENTIN grew up in Great Neck, New York. She attended college and law school at Yale. For many years, she practiced as an appellate attorney representing criminal defendants who could not afford private counsel. Reyna studies at the Writing Institute at Sarah Lawrence College, and her fiction and personal essays have been published in The Westchester Review and online. She lives with her family in Scarsdale, New York. To learn more, please visit reynamardergentin.com. The time is nearly upon us! National Novel Writing Month (NaNoWriMo) is mere days away. Don't worry if you're not feeling ready - is anyone ever ready for this? As we count down the hours, the OA team has some tips for surviving the month of November. It's okay to fall off the wagon. Accept that this might happen to you. It happens to me every other year: I hit my word count the first three days, forget on the fourth day, and then slide into nothingness with a whopping NaNoWriMo final word count of 5,821 because it was too much of a struggle to catch up. Sometimes life gets in the way, and that's okay. As much as you can, instead of trying to catch up to where the NaNoWriMo site tells you you're supposed to be with your word count, just try to hit that 1,700-word mark for the day. You never know, you might catch up on your own when you get a sudden burst of inspiration! Find a community. It's been said time and time again: writing is a solitary thing. And with a goal seemingly as unattainable as NaNoWriMo's 50K words, it can feel that much more isolating. Many major cities have write-in events, which are increasingly taking place online. Find a buddy, find a group, find someone on the other side of the globe! Save everything everywhere. The last thing you want is to be nearly done and lose your manuscript in a sudden computer Blue Screen of Death. Have backups of your backups. Save frequently. Email drafts to yourself, email them to your mom, email them to your high school volleyball coach - just keep backing everything up. Save to a flash drive, print a physical copy, put it on the cloud, do whatever you have to do. Keep going... The hardest thing about NaNoWriMo is doing it. Whether you're a planner or a pantser or somewhere in between, everything you do before NaNoWriMo can easily seem like it wasn't enough. Just keep pushing forward, even when the writing isn't going well. If you feel like you don't have time to sit down and write, work during your commute by writing on a Google Doc on your phone. Give yourself permission to write badly. This is a first draft; it doesn't have to be perfect. ...but you can always stop. When NaNoWriMo gets to be too much, it's okay to shelve a project. Especially as we get toward the end of November and it seems like everyone is claiming their NaNoWriMo win, it's really hard for those of us whose projects just didn't work out for one reason or another: didn't have enough time, lost the thread of the story, couldn't figure out that one plot hole. It's okay to stop. It's okay to say, hey, I thought this story/plot/idea would work, and it just isn't right now. November isn't a magical month where the writing pantheon opens its gates and pours down inspiration onto the masses (as awesome as that would be). It's a month like any other, and sometimes we need a break. No matter what you end up doing during NaNoWriMo, when it comes to writing, pennies are money - every word counts, and every word matters. Don't worry, just write. You can find more tips at this link, which is a handout from J's local NaNoWriMo community! If you have more ideas, please leave a comment! 1. Comment on this post and at least one other post from this week by *SUNDAY 10/28 at 12 pm*. Dear O'Abby: Is a Small Press Right for Me? Your column last week about getting an agent before signing a contract with a small press made me think a lot about small presses. I have had offers from small presses in the past and turned them down because that wasn't my dream. Now, several years on, having been agented, on submission for many months without a sale and ultimately dropped by my agent, I'm wondering if I might have been too hasty in dismissing those small press offers. This isn't an easy question to answer because this is your career, and in reality, only you can make that decision. But I can give you some information about small presses that might help you make it. There are a lot of small presses out there, so before you leap into signing with any of them, do some checking to make sure the one that has offered you a contract is reputable and stable. There have been too many horror stories about small presses closing and authors struggling to get their rights back and stories about small presses not paying their writers the royalties they've earned. Writer Beware is a good place to search for red flags, and there is lots of useful information in the forums at Absolute Write, although you will have to trawl through a lot of chatter to get there. Preditors and Editors was always my go-to, but they seem to be undergoing some changes right now. But it looks like they will be up and running again soon, so that may be another useful resource. If you have done your due diligence and think you might be interested in a particular small press, make sure you know what they are offering, both in terms of the percentage of royalties you will be receiving, and services. Some small presses publish e-books only, so if your dream is to hold a copy of your book in your hot little hand and ruffle through the pages, this isn't going to fulfill that dream. Most small presses expect you to do the majority of the marketing of your book yourself. They may send out to a select group of reviewers, splash your cover around in a few social media posts and on their blog, but most of the work will be on your shoulders. Small presses make their money by publishing a lot of books, so your title will only get pushed until the next one comes along. And some small presses publish a book a week, or more. Yours will get lost in the noise unless you have a plan for getting it seen, and probably some money to put behind it. And the chances are you still won't sell thousands of copies. So you have to weigh up whether it's worth it. Self publishing is increasingly simple, and if the small press is only going to format your e-book, assign it an ISBN, give it a cover and load it up on e-book retail sites, you have to consider if the percentage of royalties you are giving the publisher is value for money. Some small presses have great editors who will help you polish up your book until it's better than the one you submitted, but others do little in the way of editing and the finished products wind up as riddled with errors as some self-published titles. Another thing to consider is distribution. If your small press does do print books, how do they get the books into bookstores? Many small presses rely on print-on-demand (POD) to keep their costs down, which means there are no copies available until they are ordered. Sure, you can buy a box of your own books and sell them to the stores in your local area, but this isn't an effective distribution method and can often end up with you actually losing money on every book sold. Yet there is still a certain stigma about self publishing. Some reviewers refuse to consider self-published titles. It's a struggle to get self-published books on shelves in stores, and even harder to find an effective way to distribute your self-published novel outside your own local area. So there is definitely some value in having a publisher's name behind your title. At the end of the day, you need to weigh the pros and cons of each method for yourself. And remember, small presses and self publishing aren't your only options. 1- How did working on "Jump In!" help you write Love Double Dutch!? “Jump In!” was such a joy to write and I’m so pleased at the success and impact the film had the audience. However it wasn’t the original idea initially I had. Love Double Dutch! is actually the very initial idea. But I held onto the hope that original story would see the light of day one day. And, gladly, here we are. Determined, passionate, strong-willed, competitive, spiritual. I honestly think my passion for writing was ignited through my love for the arts. When I was a student at the High School for the Performing Arts now, LaGuardia High School, I studied lots of plays and instead of my interest in the characters I was portraying. I was more intrigued by the genesis of the story and the world within the character existed. But even before that, I loved journaling because it just found it so cathartic. It gave me a sense of relief to express my inner most feelings without being judged and I think I fell in love with that felling of release. So couple my love of the arts with the joy journaling, came this idea to merge the two world and creatively weave stories of my life into writing for entertainment. 4- You have quite a few awards and nominations under your belt. Is there a "big fish" you're hoping to achieve one day? When I think about all the shows and films that are produced, it’s such an honor to be recognized at anytime in the entertainment industry. But because middle grade books are so important for the impact on the tender ages of “tweens”, I think being recognized for this art form takes on much more meaning. My hope has always been for Love Double Dutch! to be appreciated for it’s tale about an African American girl who turns to double-Dutch, a street sport popularized by African American girls, in order to deal with her very American life, including divorce, self-esteem, and racial disposition. For this reason, my fingers are crossed for a Coretta Scott King Award. 5- Would you share a picture with us of your book with Tiger? One of my short time goals is to write the screenplay to Love Double Dutch! And my long-term goal is to write the “to be continued” version of the novel. I didn’t dare say “sequel” because it seems publishers aren’t as excited about sequels. But I’ve already been asked by quite a few fans for a follow up. So maybe to make everyone happy, I’ll call it something different. 7- Is there a story behind the name "Spicerack Productions Inc."? The funny thing about the name SpiceRack is that almost everyone in my family who bares the name Spicer has been called by the sir name or some variation and Spicer Rack was one of them. So I thought it would be cool to use it as the name for my production company because when spices are added to food it not only adds taste but color as well. Our agenda is diversify children’s entertainment by unearthing stories that might considered unapologetically cultural in origin while making them universally appealing. Jump In! is a good example of that. Stories just become more interesting, informing and palatable for large viewing audience. Imagine if you had to eat the same food with the same flavors every night knowing there are other dishes out in the world? It would be maddening and frustrating. And that’s where the movement for “diversity” comes in. People want to see themselves and their culture explored. With that, we’re trying to keep project diverse with a fresh perspective. I love mixing up casting just the way I like adding different flavoring in my food. For instance I love eggs and avocado for breakfast but I spice it up with 21 Seasonings (Trader Joe’s), turmeric, cayenne (Yup, I like it hot!) with a little turkey patty and small red potato on the side. This meal has everything you need to rev up your metabolism and give you plenty of protein and carbs to keep you satiated for almost half the day. It might sound weird but it’s interesting with a variety of flavors just like our programming options should be. 8- What is your favorite book (by someone else), and what do you love most about that book? What is your favorite book (by someone else), and what do you love most about that book? I don’t have one favorite book but a few and for several different reasons. As an adolescent I loved Are You There God? It’s Me Margaret by Judy Blume. It was quintessential tween book of its time for girls in my opinion, which is why it’s a classic. I also love Omar Tyree’s Flyy Girl which spoke to my specific demographic—young woman of color, coming of age, relationships and neighborhood social status. Another classic, which so many love as well, is The Alchemist. I consider myself a connoisseur of spiritually driven stories and books on spirituality, and although I don’t like reading books twice I will probably pick that one up again. Actually, there are a few fans who come to mind and for different reasons. But there is a group on Instagram called The Sweetpea Girls and they have reviewed the book, talked about it, promoted it and continue to promote it. I had no idea who they were but I do now and I’m so grateful for their love for Love Double Dutch. There are also little girls who’ve sent me messages telling me how much they loved it, couldn’t put it down and can’t wait for the sequel. That’s really exciting. I also have a mom who tells me her daughter carries it everywhere she goes. That’s just awesome to me. One mom told me how thrilled she was to see her young son totally into it. It’s all so great to hear. 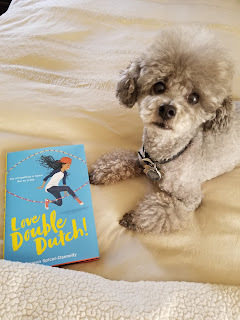 The consensus is that kids love that the story isn’t just about double Dutch but about the protagonist, Kayla, who puts her own concerns aside to help her cousin with a bullying issue. They also like that there are other things going on like a first crush, first kiss and how to stay positive through an ominous situation. The thing I’ve learned is that we really don’t know how things effect kids and what they’ll hold onto. I just wanted to make sure they really see there is a lesson on the other side to strengthen them, if they’ll just keep going. I hope the reader will have a sense of courage and self-empowerment, that they hold the power of their dreams within them and they shouldn’t let any person, situation or obstacle get in their way. Two scenes come to mind. There’s a scene where Kayla was hoping her parents would be in the audience for the biggest competition of her life but they’re not, at least unbeknownst to they aren’t there. And just when she seems so disappointed her cousin, Sally, encourages her to go out there and do it for herself and not for anyone else, even her parents. And, she does. I want kids to realize they have a choice at every turn to take control of their destiny, no matter who’s there to support them or not. Another scene is where Sally, confronts her frenemies that I hope will resonate with readers. Whether the reader is a victim of bullying or they are the bully, an opportunity will always present itself to change the course of the relationship. And to realize there is someone there to have your back if they’ll allow someone to support them. In this moment, Kayla had Sally’s back and that’s what I think we need more of—kids supporting one another in times of hardship. Already having a career in writing tv and film industry, I was used to writing to the visual of every scenes and not for the details of back story and what’s in the head of characters. 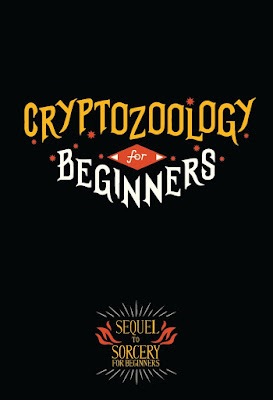 But thanks to, Joquelle S. Caiby, Serendipty Lit, prepared me to pay more attention to detail so when I worked with my editor at Random House, Diane Landolfe, it was on! Diane really made me dig deeper and fine-tune my intention for each concept that made up the entire story. Also reading other people’s works with a scrupulous eye to the emotional tapestry that happens in a novel to tell a compelling story. So thank goodness for great, patient people who helped along the way. 12- What is the most memorable trait or visual oddity of one of your characters? First, I am super excited that this movement has take place because it really lifts the self-esteem of children of color and gender diversity amongst others. I just remember all of the school books ever assigned for class reading was all from the perspective of a white male and written by white men. They were great stories but there was no deviation from this trend even through high school. That was really frustrating. No women authors, no women’s pov, and when black people were mentioned in books it was always in a negative light. So it’s no wonder young kids are really making a splash with a demand for change. In Love Double Dutch, a rendition of Makayla is right on the cover for a reason. My hope was to make little black girls feel proud that their likeness is worthy of the front of a book. Also, I consider the story multi-racial because it involves Kayla and her cousin Sally interacting with girls of other races including a Latina and Caucasians, which Kayla is not used to. 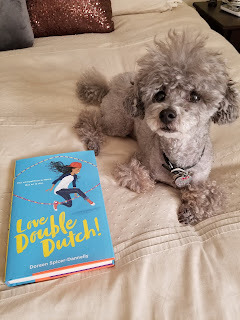 So I consider Love Double Dutch to be truly a diverse book for more reasons than it being a story about a 13 yr. old African American girl. 14- Which character has your favorite Personality Contradiction? Kayla has a couple of my favorite contradictions whereas I can be super positive at times and preach like I wrote the book on positivity but there are times when I can fall into the negative-outlook hole. Something I’m constantly working on. Also there’s the fact that I’m a little bossy but compassionate—hey, at least I can admit it. 15- Does your book hold a mirror up to society, and in what way? The book can hold a mirror to society in the way the kids are experiencing painful things that sometime their parents are oblivious to. I believe that’s due impart to shame or fear on behalf of the children or they don’t want to be a burden so they don’t talk about it. And parents are sometimes simply oblivious to what’s going on because they are either very busy or simply don’t have enough time to pry problems out of their kids. No one is to blame, it’s just that’s the way things have been for as long as I can remember. But don’t take my word for it because I don’t have kids, however, I do know kids will discuss things with others that they would never tell their parents for fear they would be knocked them off the pedestal their parents put on. I’ve been that kid and I know some of those kids today. Kayla is one of those kids but luckily she finds double Dutch as her coping mechanism as so did I among other sports. If I could make one small change that could benefit authors and readers, I would make it mandatory that publishers hold a meet and greet for debut authors before the book drops. This could be sort of what a trailer is to a movie so that the writer can tell the readers what to expect and the readers can have a chance to ask questions and tell the author what they’re hoping their children might get from the book. This is completely a wild idea but I would’ve loved to talk with the reading audience so that I can get a chance to hear their expectations. It might’ve encouraged me to strengthen certain principles. We have to remember, although writing is an art form, we’re still having to sell books that resonate with a large audience in order to validate for the business of publishing. What motivates me most to buy a new books is that it has to have something that interests me i.e. a good journey, a spiritual journey. Or if I just heard the book was a really good read, a captivating story, I’d pick it up. I love to dive into a novel that simply holds my interest. I’ll measure the success of my book by the great things that the kids who’ve read it rave about it. Numbers of book sold can definitely mean sale success but how many kids will actually read it from cover to cover and be so excited they did. Of course every author wants it to sell in large numbers but I also want the other important reason for writing the book to be dominant as well. I actually wasn’t planning on publishing the story because my original dream for Love Double Dutch was to be a feature film. However, when the opportunity knocked from Regina Brooks, Serendipity Literary Agency, I jumped and was so excited that she thought the story was book worthy. I also realized many books are being made into films so the idea was win-win. 20- What's the best book marketing strategy you've come across? The best book marketing strategy I’m finding is first actually writing a book and being super excited about the story. Everything stems from that excitement. After that, social media has been simply awesome to translate that excitement into sales. Then when parents are happy their kids love the novel, they’ll post about it, which encourages other kids to read it. So I would say anyway you can, promote your book via social media with excitement and true testimonies and you’ll find success. 21- If you could inspire every child to pick up one value, what would it be? If I could inspire a child to pick up one value from the Love Double Dutch it would be to stay positive especially when things don’t go your way, because there’s a better more fulfilling journey ahead. You just don’t know it yet but whether you’ll enjoy the outcome or not will depend on your perspective and what you’ll make of it. Simply put—Dreams come true when you go with the flow. 22- What is one question or discussion topic which you would like the readers of this interview to answer or remark on in the comments? I wondered what people thought of Makayla’s character. Oftentimes, protagonists are meek, shy, introverts, insecure, nerdy, or misfit, but my protagonist, Makayla, aka Kayla isn’t. She starts off as over-confident, strong-willed and bossy which can honestly be a turn-off but it’s also the character trait of many young girls these days. My intention was to reveal the flaws of a girl like Kayla to reflect how the boisterous attitude of an alpha female type is toned down to a more likable character. Although, Kayla is a natural born leader, she’s suffering from a lack of attention from her parents and her leadership skills begin to lean toward selfishness and self-centered. So when her vulnerabilities and flaws are exposed it allows opportunities for her to implore and strengthen her more selfless and compassionate traits. I guess I just didn’t want to stick to the norm and portray the opposite of the spectrum that girls are used to reading. I thought it could provide helpful take-aways for girls who are either this personality type or who are friends with a girl like Kayla. I’d be interested to hear what the audience has to say about Makayla’s personality, attitude and adjustments she makes by the end of the story. 23- Anything else you would care to share about your book and yourself? Writer/Producer/Director, Doreen Spicer is best known for Disney Channel’s critically acclaimed animated series, The Proud Family and for the Disney Channel, Spicer developed and wrote the musically driven film, Jump In! Spicer also created the international tween hit sitcom, The Wannabes Starring Savvy. Doreen Spicer continues to develop multi-cultural projects under the auspices of her own company, Spicerack Productions Inc.
You’ve just finished your manuscript and you’re ready to start querying! YAY! 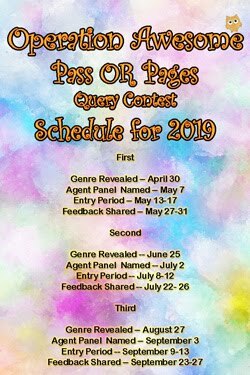 You have your query letter, synopsis, and comp titles all ready to go; you’ve got your list of agents to query; you threw up four times already. So, it’s time to fire off that query to your dream agent, right? First of all, are you sure that your manuscript is 100% polished, professional, and perfect? 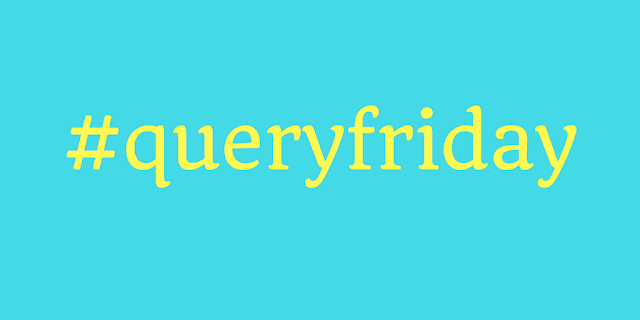 What about your query letter and synopsis? Have you gone through a few rounds of revision and sent your manuscript to betas and CPs? If not, get on that right now. Okay, so you did that. Now can you query your dream agent? Well…you could, but why not wait a little longer? Look, I know it sounds annoying and counter-intuitive. Agents can take up six to eight weeks to get back to you, and frequently their response time is even longer. So why wait to submit your work to the person you want to hear back from the most? The simple answer is, if this is your first time querying, you probably aren’t as prepared as you think you are. I recently celebrated the first anniversary of when I started querying the manuscript I am still querying. In a caffeine-induced haze, I thought it would be fun to look back at the first query letter I ever sent and oh lordy. Not only was it over a page long and read like a synopsis, it also clocked my manuscript as coming in at 167,000 words. Yikes. At the time, though, I felt like my work was completely perfect and it’d be signed by the first agent who saw it. Obviously, it was not. What I learned from this is to start with my middle-interest agents – people I thought might be a 50-75% fit for my work – just to get some practice. Why submit the version of my work that has the highest chance of rejection to the person I want to love it the most? Even after sending thirty queries, I’m still adjusting my entire query package. Not everyone does this, but as I’m querying a work that feels done, I’m still having other CPs and betas read it. My manuscripts are constantly evolving. So by the time I’ve queried maybe ten middle-interest agents, I am much more confident in my work and am ready to send it to Dream Agents. My disclaimer, though, is that the writing, revising, and querying process is very different for everyone. 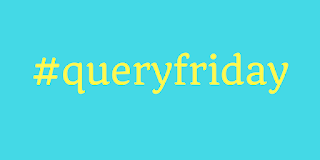 Some people send five queries, get full requests on all of them, and find their agent within a couple of months. Some people query for years and never get anywhere. You don’t have to make your process the same as anyone else’s, or take anyone else’s advice. If this is your first time querying, it can be daunting. So maybe send some practice queries first. You never know what might happen. 1. Comment on this post and at least one other post from this week by *SUNDAY 10/21 at 12 pm*. 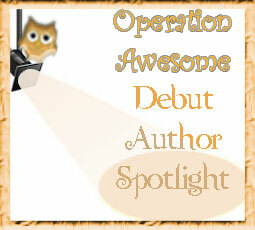 Dear O'Abby - Can I get an agent with a publishing deal already in hand? I recently entered a pitch contest online and received a request from a small press. I sent my materials in, and they have come back with an offer to publish my novel. I know nothing about publishing and contracts and always assumed that I'd have an agent before I had a publishing deal. Can I get an agent now, so they can help negotiate the contract with my new publisher? I'm terrified to go into this without support from someone who knows about these things. Firstly, congratulations on getting a contract. That's fantastic! Secondly, you can still try and get an agent at this point. You will need to let the publisher know that you will need some time to go through the contract, and give them an idea what this timeframe will be. If they are not prepared to wait a couple of weeks for you to do your due diligence, that's something I'd consider a red flag and I would be very cautious about signing up with them at all. If you are querying agents with an offer in hand, it's worth mentioning that in the subject line of the email you are sending. You will also need to let them know about the timeframe you have given the publisher so they understand the urgency of the situation. Many won't have the capacity to drop everything to read your book ahead of others they have requested, so expect some rejections for this reason. Other agents may not want to take on a project that is already promised to a publisher because they may not feel that publisher is the best place for the book. Also, small presses tend not to pay advances or generate huge sales, so an agent may not feel like it's worth their while to go into partnership with you if they are only going to get 15% of what is likely to be a very small amount. They may reject for this reason. Alternatively, they may suggest that you turn down this small press offer and work with them to get the novel ready to submit to larger publishers. In this second scenario, you end up with an agent, but you're turning down a publishing deal. You have to know what you really want in the long run. Signing with an agent doesn't guarantee the book will sell to publishers. You could spend months revising and polishing the book (again - I assume you had already done that before the pitch contest and the initial request), and still get no interest when the agent takes it out on submission. You don't actually need an agent to negotiate your contract for you anyway. Sure, it's nice to have someone there who does this regularly and knows all the red flags to look for, but if you want to sign with this publisher, and don't have an agent, you can get a lawyer to look over the contract for you. They will be able to advise you whether it is a good contract or not, and point out any clauses they might consider problematic. They may even offer suggestions on ways to edit those clauses to be more favorable. Debut Author Déjà vu post. Here are a few blasts from our past. 1- Would you please, in 160 characters or less, give a #WriteTip ? 2- Who is your favorite book review blogger? Forever Young Adult (http://foreveryoungadult.com/ ) is one of my favorite book bloggers because they have an interesting format (http://foreveryoungadult.com/book-report-grading), and I almost always agree with their reviews. They even have a special series of reviews on Kirkus. 3- What's the best book marketing strategy you've come across? Show up to support others – in whatever form that takes: sharing good news, going to events, reviewing/recommending other books, encouraging and sharing resources with writers at all stages. 4- What is one question you would like the readers of this to answer in the comments? What books are on your night-stand at the moment? 5- Have you, or one of your characters, ever experienced déjà vu? I ‘ve experienced déjà vu several times, but of course I can’t think of the specific situations right now! But just as fascinating to me is the idea of premonitions, ie. sometimes I will get a feeling or a thought about something before it happens. A couple years ago, I entered a writing contest and the winner was being announced at a large conference. I was in the audience, did not think I had a chance of winning, was totally calm and relaxed and curious as the contest coordinator was speaking on stage, when all of the sudden my heart started racing wildly – and then they called my name as the winner! Another time, I was driving on my way to speak at a book club out of town and one of my old high school teachers popped into my head. We’d had an altercation my senior year, but I hadn’t seen or hardly thought of her in 30 years. When I arrived at the book club, she was there! She was new to the group, her first time attending, an aspiring author, and she didn’t even remember me. It was so weird. 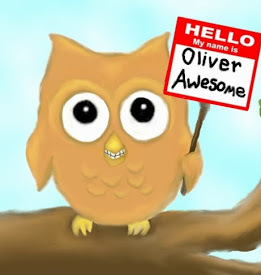 Thanks for having me back on your blog, Operation Awesome team! Whenever you have a dream, never give up because you’ll never know where it’ll take you. I never imagined in my wildest dreams I’d be publishing my books, let along publishing for others. 2- You've put out two books since your last interview. Is there another in the works? 3- What is one question you would like the readers of this to answer in the comments? 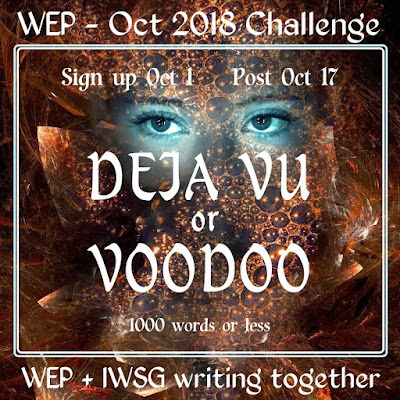 4- Have you, or one of your characters, ever experienced déjà vu? I’ve experienced Deja vu quite often. Writing words is more important than anything else you need to do as an author. 2- Given your Tweet thread, what's your opinion on the Nike Kaepernick ad? I applaud Nike for the Kaepernick ad. A real hero is one who stands up for their principles. It is sad that this is such a controversial stance. A United States so flagrantly in disregard for the human rights of all peoples, regardless of their origins, should not censure protest against its government. As a white person, I know we are a privileged group who take a lot for granted. Okay, everything. One of the best ways we can ally and make change is to support such efforts, and try to speak about them with other, especially to those who don't see the privilege. So, go Nike. You're doing your job. And go, Mr. Kaepernick. Way to get out there and hope for a time when we are all on the same enlightened page you are on. Can you tell me all about your favorite character from a book or movie? I'd love to hear about them. I experience deja vu all the time. I used to think I'd dream things in advance, and then experience them. So, it's a real thing, even though I don't think it has a prophetic cause. 1- How do you like your coffee? Have you ever had a Pumpkin Spice Latte, and did you like it? I like a flat white these days. Haven't had a Pumpkin Spice Latte, might wait for Halloween before I do. 3- What have you been up to since your interview? Well after my novel Seven Day Fool, I have been writing its sequel Take It Or Leave It. Which sees my private detective Jake Brody drawn into a case spread through Manchester, London and Paris. It sees some character development and his immersion into a much more espionage filled tale as he becomes a person of interest to MI5 - the British Secret Service. The tale is set a mere few months after Seven Day Fool and is set in 1966. England is getting ready to host The World Cup. The Jules Rimet trophy has been stolen, and a mysterious "Pole" is implicated as being involved in what looks like an opportunistic theft. Jake Brody believes that this individual has something to do with Kinga's father who was deported back to Poland at the end of Seven Day Fool. He is offered the task to investigate by the one man in England that he dare not refuse. It is a job offer. Does he "Take It Or Leave It?" I should hopefully have this book finished by the end of 2018. I still write a lot of poetry and have been performing at spoken word events. I have recorded an album of spoken word called Speakeasy, which is going to be released by Heavy Soul Records. There will be a seven inch vinyl record of two of my poems released in December. One is called Words of Wisdom, and is performed by myself with original music by Rick Blackman. The other side is called Breathless and is recorded in French by Gabriela Giacoman, the lead singer of French Boutik. The music again is original music by Rick Blackman. After this release the album will be released also on vinyl. I now co-host a regular spoken word /Comedy night called Speaky Blinders which has a great variety of performers sharing their poetry and comedy. I also published a book of poetry called Songs of Benevolence & Rage this year, and hopefully in December will have an experimental collection titled Beat To A Pulp published. This collection is a complete traditional Pulp style story written in verse form. I have some amazing artwork that will be complementing the collection provided by an artist friend. Who is known as Mr H. It is going to be very different, and is a work I am very proud of. So, as you can see I am busier than ever! Many times personally. Jake Brody certainly has a moment in Take It Or Leave It. It's centered around the female interest and the sense of déjà vu is palpable for him as he is still getting over what happened to Martina Godlewski. The theme of your story (what it’s really “about”) is crucial. Once you know the theme, it will tell you which characters to keep, what scenes are necessary, and what the ending should be. Stories without a theme may be enjoyable, but they are disposable. Teaser pic of the next book in the series, which is out May 14, 2019! I really enjoy the reviews at @TheAVClub. They’re intelligent, insightful, and often very funny. I base my to-read list on their “Best Of” picks every year. 3- How would Euphemia Whitmore feel about voodoo magic? "Voodoo magic, while certainly effective, lacks the elan and work ethic required for traditional sorcery. As such it is quite a tempting field for the young sorcerer to pursue. However, a grounding in traditional spell casting fundamentals is recommended before learning easier, alternate methods." Is there anything you’d love to see explored in a novel about teenage sorcerers? 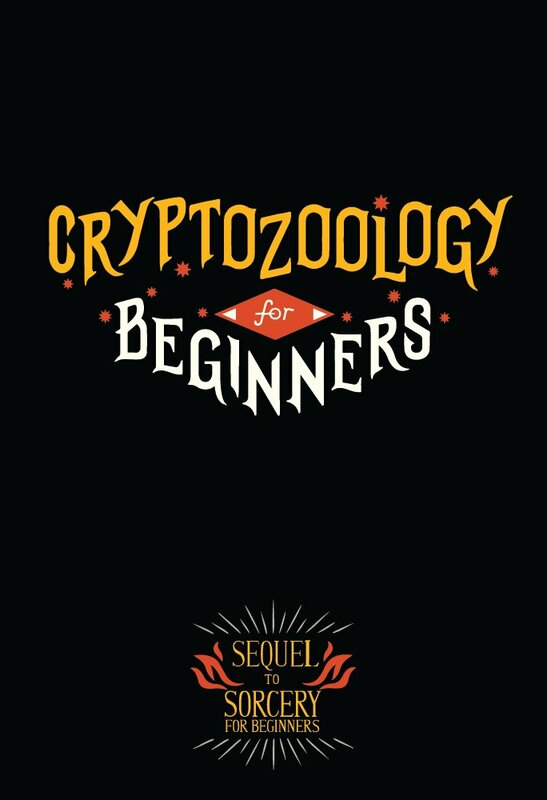 The second book in this series, Cryptozoology for Beginners, has been completed, but I’m in the planning stages for the third novel and would love to hear any wish lists! I feel like I experience it quite a bit. I’ve even had dreams that I later think actually happened. Naturally this makes me want to write a story about it, but I haven’t figured out a unique way to do it yet. The answers ended up at 1400 words. Who knew these blasts from the past would have so much to say?! We're not competing to win. There's no need for feedback. But it'd be great to keep the conversation going! So if you feel like responding to some of the questions asked by our authors, that'd be awesome! As we’re coming up on National Novel Writing Month (also known as “NaNoWriMo,” or as I call it, “the most stressful month of the year”), creating habits will be vital to success. A published writer once told me about writing, “If it’s important to you, you’ll find time for it.” There’s plenty of truth in that – without finding the time, the writing isn’t going to happen at all. The words are just going to ferment in my brain until it explodes and I give up on ever starting. Even when I find time to write, though, I usually find myself getting distracted by…everything. Oh hey I should check my email. And my other email. And Slack. And Twitter. Ooh there’s a pigeon on the roof across the street! I should send a photo to my friend. Haha that’s a funny cat meme she sent back. Wait, how did an entire hour go by and this darn Word document is still blank? It’s a disaster. In preparation for NaNoWriMo, and to help myself with writing in general, I’ve spent some time developing habits over the past couple of weeks. I picked a writing spot in my house where I can be alone (the bedroom) and I turfed out every distraction I could identify. Can’t stop the pigeons from landing on the roof across the street, but oh well. So, every day before I sit down to write, I start by making the bed. I can’t focus when there’s a job to be done that would make the room neater – I’m the kind of person who, if I have to stay home sick from school, I end up cleaning the house. But also, doing so is a mindless activity – it helps prepare my brain for writing by emptying it out. And now that I’ve been doing this for a few weeks, every time I strip the pillows off the bed, it gets the writing juices flowing. By the time it’s all tidy, I usually have a few good ideas bubbling up. The last thing I’ve been doing is working by time rather than word count. I like to use the twenty-five on, five off method, so I get a break twice an hour. When I paced myself by word count, I had a lot of problems: I’d write bad scenes just to reach my word count, I got frustrated when I didn’t reach my count, I’d sometimes have to delete words and then I’d get set back. For me, setting timers works much better. Even if I barely write anything, I usually find that I’m prouder of one hundred words that I carefully crafted than I am of five hundred mediocre words. There are still a couple weeks until November 1, so now is the time to start getting your own habits ready! Do you have anything that works well for you? Have any other suggestions? Leave a comment! 1. Comment on this post and at least one other post from this week by *SUNDAY 10/14 at 12 pm*. Dear O'Abby - Do I need to hire a service to format my Kindle book? I have recently decided to self-publish my book. Never having formatted an e-book, I decided to ask some writers in a forum I frequent about it, and several of them recommended I use a service to do it, rather than doing it myself - something about the book losing formatting like bold and italics if I don't know how to write HTML? Is this true? Some of these services seem to charge a lot of money for something that looks pretty simple if I am to believe the instructions for creating a Kindle book on Amazon. It never ceases to amaze me how much misinformation there is out there in cyberspace, and how many people are willing to perpetuate that misinformation. It also pains me to see how many people are making a buck preying on misinformed authors. You don't need to know HTML to format an ebook. You can do it in Word with some effort, and there are numerous other programs that can help too. Some of them cost a few dollars, others are free. If you are trying to do it in Word, I suggest you copy and paste the entire document into a text editor first, to strip out any formatting that is already in there, and then start from scratch in Word. Just be aware that there is more than one ebook format and the book you formatted perfectly for Kindle (.mobi file), will not work with other ebook retailers that require .epub files or PDF files. So you will need to format your book differently for different platforms if you want to sell your book in a variety of places. It will take time, but so did writing your book. And it's worth taking that time to ensure you get a professional-looking ebook. There are few things that drag a reader out of a book faster than inconsistent or kooky-looking formatting. I've read ebooks where the fonts are different sizes or styles. I've read books where the paragraphs are formatted inconsistently or in the wrong places. I've read books where entire sections are in italics for no particular reason. All these things are a result of careless ebook formatting, and do nothing to recommend your book to readers. So take your time. You don't need to pay someone else to do it, but you do need to invest in your book by not rushing through this final, important step to getting it into the hands of readers. 1- Is Demons just a surname, like Smith or O’Brien, or should readers expect the supernatural? The Demons are a "gang" of friends, who claim each other as family. Each of the members have a tragic background, and believe God has cast them aside, therefore, they call themselves Demons. Readers can expected some supernatural phenomenon and magical realism. The best advice I could ever give is, write from your heart. If you don't enjoy the story you're writing, why would you expect your readers to enjoy reading it. It's your story and you voice. I've always had an active imagination. Growing up with social anxiety, I would put myself into other worlds, or at the very least, in a different place than where I really was. As a teen, I discovered a love for reading, and I started creating stories of my own. I guess you could say, the need to escape reality ignited my passion for writing. 4- What's your Twitter handle, and do you have two or three writer friends on there to shout-out to for #WriterWednesday ? My twitter handle is @TATKulisch. Author friends are Arbie Krae @arbietrart; and Juliet Cromwell @juliet_cromwell. 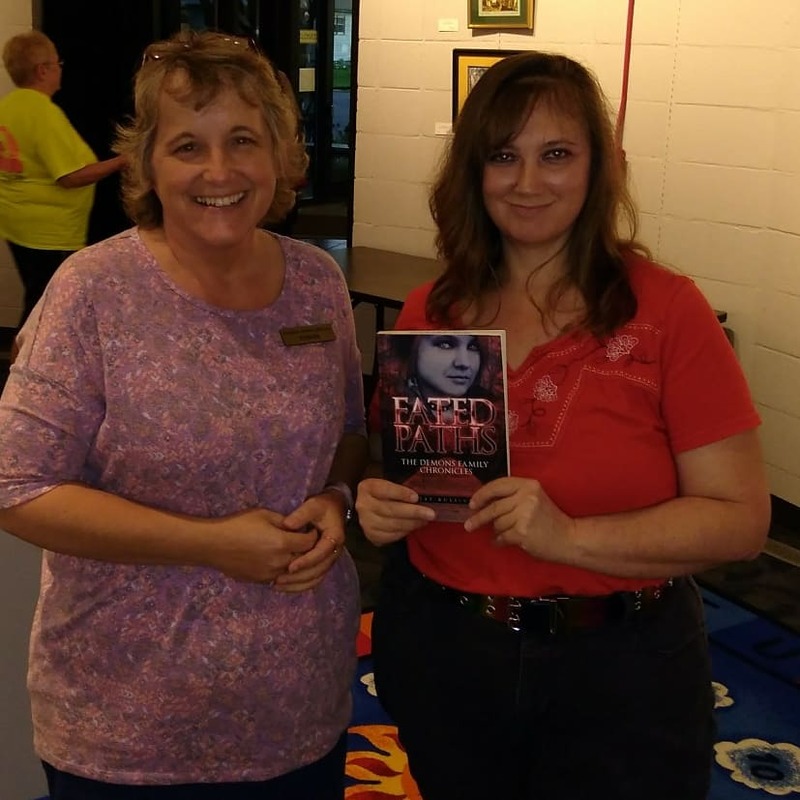 5- Would you share a picture with us of your book at an event, perhaps the book talk at the Keokuk public library? Here's a pic of me with Tonya Boltz at the Keokuk Book Talk on Sept. 11. This was my first official book event. I'm currently writing DARKENED PATHS, the sequel to FATED PATHS. This is the second book of a four book series. After the series is complete, I plan to write three prequels, giving backstories for some of the characters, and their journey to becoming a Demon. In October, I'm participating in the Hollywood Book-to-Screen Pitch Fest. 7- How do you feel about Amazon listing your book as "Contemporary Fiction > Literary Fiction" instead of "Fantasy > Paranormal & Urban"? Thank you for bringing to my attention about Amazon placing my book in the wrong genre category. I can understand how it could be confused as a contemporary, rather than an urban fantasy. The supernatural and magical realism is kind of subtle in my first book, but as the series progresses, readers will easily know something is up. 8- I see you're part of the #LGBTQ+ community. What's your astrological sign? #quote "Hi, I'm Alecia. I'm a Virgo. I'm 31... I'm gay. Actually, I'm not, but that's not important. My point is, I would like, in the world, the same boring response that I get from, "Hi, I'm a Virgo" I would like "Hi, I'm gay" to elicit the same response. - P!nk. TAT Kulisch here. I'm a bisexual Taurus, who is bullhead beyond belief and doesn't stop until I get what I want. When life throws me lemons, I throw them back because I'm not fond of lemonade. Love because: The reason I love this book so much is because, at the time of my life I read it, I was struggling with manic depression. This book literally saved my life. As I read the story, I could relate to the characters and I no longer felt alone. Though my home life was stable and happy, my social life was awful. Besides my social anxiety, I had to hide my sexuality; otherwise, the bullying I received at school would be a thousand times worse. Just knowing I was a "greaser" like Ponyboy and Johnny, I felt that, though life was tough, it was still worth living. 10- Who is currently your biggest fan? What does that person love most (or "ship") about your debut novel? Besides my mother, of course, my biggest fan is Sara Ruble, a girl I went to school with. After reading my book, she has gone out of her way to spread the word to her family and friends, and she shows her support on my other social media pages. She loves the passion I put into the story and how she can see some of our classmates in some of the characters. She contacted me and said that she was laughing one minute and grabbing tissues the next. A random fan contacted me and said she was in love with Coven Baker, the playful pervert of the Demons family. The emotions I hope to evoke into reads are compassion and acceptance. One of the key messages in my book is don't judge others based on appearance and social norms. Get to know someone as an individual, learn their history, and accept them for who they are. The scene that states this message the strongest is on pp. 262,263. Angela is talking to her mother, who is really judgmental, and she is explaining that her mother should judge the Demons based on a name or their outer appearance, but to get to know who they really are, and once she did, she would love them as much as Angela, herself, loves them. Watching other authors on YouTube, helped me improve my writing skills. The advice they shared, was extremely helpful. Not only did I learn some tips about improving my writing skills, but I also learned about how to research for publishers and agents, and what to expect when pitching my story to them. Coven Baker; not only is he the playful pervert, who enjoys tormenting his fellow members, but his eyes have an unique purple pigment to them. The entire Demons family are the main characters. J.P., the leader, is Native-American, Seth Martinez is Latino, J.P.'s girlfriend, Marlee, and Angela Reese are both bi-racial, the Ryce children, Coven Baker, and Brady Harris have mental disorders, ranging from anxiety, depression, and PTSD. There are a couple of gay characters, but I can't say who without spoiling the story. In future books, we will discover a lesbian couple, and another character will have a physical disability, sorry, can't say what kind. Brady Harris. Though he is intimidating because of his huge stature and hostile attitude, he is surprisingly gentle, extremely protective, and very soft spoken. 16- Does your book hold a mirror up to society, and in what way? I don't quite understand this question, so I'll do my best to answer it. The book is an example as to what society should be. The Demons love and support each other, no matter what. When outsiders have difficult questions, the Demons, instead of getting offended, they explain their situation and try to educate those around them. The only thing I can think of to change is the cost of self-publishing. For those of us, who have anxiety and self-esteem issues, it is crushing when our work is rejected by agents and traditional publishing companies. Their writing may be an excellent story, and the rejections may not have anything to do with the quality of the work, but just receiving a rejection letter, can crush a writers spirits and make them give up. I understand this is probably a really cheesy answer, but it is what I feel in my heart. I'm guilty at judging a book by its cover. I know, I know. I'm contradicting myself about not judging based on outer appearance; however, there's a big difference between judging another human and judging an object. If a cover is dull and boring, I get the impression that the author or publisher didn't care enough for the story to design the cover to capture a reader's attention. I feel the cover should give an idea to the reader, as to what to expect in the story. For me, if the cover is blah, then the story most likely is too. 19- Who is your favorite book review blogger? Honestly, I'm embarrassed to say, I don't know of any book reviewers, or if I do, I didn't know it. If anyone has any suggestions, throw them my way. The best way for me to measure performance is through the quarterly reports I receive on book sales. I've always wanted to self-publish. I'm the type of person, who likes to be in control, and I wanted to make sure the story, I spent two long years writing, was going to receive the cover it deserved, and be formatted in a way that would make the story even more attractive. Word of mouth is the best marketing strategy I know of. This includes using social media to get the word out there. Writing isn't a get rich quick business, and spreading the word by talking to random strangers, friends, family, doing interviews, and advertising on various social media sites, is the most affordable marketing tool. Once the money starts rolling in, other methods will help advance your progress. If anyone knows of any book reviewers, please send them my way. Also, feel free to discuss any of my answers, I'd be thrilled to know what you have to say. (Just be respectful, please). The Demons Family Chronicles is written in an Own Voices style. Other than my sexuality, I do struggle with anxiety, depression, and PTSD. I'm also legally blind, giving me a physical disability. Here are all my social media accounts, where you can follow me. On twitter: @TATKulisch; Instagram: @TATKulisch; and on Facebook @TATKulisch. In August, my partner and I moved from Minnesota to Belgium. I looked for jobs, but I was struggling to find something I was qualified for that would also enable me to apply for a work permit (as it turns out, the law is very complicated – who knew). So I figured, hey, we have enough money for us to survive for a year if I don’t work; why not use this year to finally finish my manuscript and find an agent? Sounds like a breeze! Narrator: It was not a breeze. No it was not. By the time a month had passed, I’d barely done anything. It was infuriating. After years of wishing I had time to just sit at home and write, that was my reality – but the words refused to come. For weeks, I spent more time than I’d care to admit yelling “WHAT THE HELL” in my mind as I stared at blank pages or chapters that simply refused my revision efforts. It seemed so backwards. Six years of college yielded countless notebooks that started out with the good intentions of taking relevant notes but devolved into mostly plot ideas and character descriptions with phrases like “lake turnover” and “anaerobic respiration” crammed into the margins. All the ideas that had come to me when I really should’ve been paying attention to my classes had completely fled my mind. After struggling for several weeks, I talked to one of my critique partners about how lost I felt. I had tried setting daily goals for myself, like “write for two hours” or “write 2,000 words,” but neither had really worked. Could I count time spent staring at my computer as “writing time?” What if I deleted a couple thousand words, did that put me in the red for that day? I spent way more time thinking about the act of writing than I was spending on actual writing. My CP gave me two great suggestions. She knew that I had previously been a competitive short story writer, and that I’d been a part of a free-association writing group in Minnesota. She tasked me with writing a short story every day for the remainder of my time in Belgium. At first, I thought there was no way I’d be able to do that – it seemed like so much work and I am, admittedly, very lazy. But then I realized that I’d able to do just that when I was thirteen when there were actual stakes, and there was no reason I couldn’t do it now. So, every day, I find time to sit down for thirty minutes maximum and write a short story based on a writing prompt from Reddit. (If you’re interested in doing this, visit r/writingprompts for free writing prompts every day. You could even make an account and post your stories if you’re looking for feedback!) Amazingly, as of today I’ve written a short story every day for more than a month. They’re not all good – in fact, some of them are downright terrible – but about once a week or so I write something that I’m proud of, and that makes the bad stories worth it. I’ve even written a couple pieces that I’d like to expand into full manuscripts. I try to choose various genres to write and vary the length to push my creative boundaries. Sometimes I let myself write the full thirty minutes, and sometimes I force myself to only write six sentences. No point doing the same thing over and over expecting to learn something. The second suggestion my CP gave me was to read THE 90-DAY NOVEL. (This is not an advertisement, this is just what happened.) If I was skeptical of my ability to write a short story every day, I was downright suspicious of a book that claimed to be able to teach me to write an entire novel in three months. I’ve participated in NaNoWriMo with varying success since 2014, but I usually cheat and use it as a way to force myself to work on existing manuscripts. I’m very much a planner – I want to know exactly who my characters are, what motivates them, what the conflict is, and I usually write an entire novel’s worth of worldbuilding material before I even get started writing the actual story. Doing all of that in a very compressed time frame seemed impossible. As of this writing, I’m only on day twelve of the ninety days, but it’s going better than I anticipated. I started out with a vague idea for my manuscript – I wanted to write about an all-female combat robotics team – and I’ve already outlined the three acts; created a detailed background for my protagonist, antagonist, and love interest; and come up with a pretty solid opening and ending. Even with all this planning, though, I’m still nervous for the point where I start writing the first draft (which doesn’t start until day twenty-seven; everything before that is brainstorming). I’ve already tried to write this story twice, and both times I crashed and burned after less than a week. Luckily, I started doing this just in time for NaNoWriMo, which will begin about a week after I start writing. I’m hoping that I’ll be motivated enough to finish this thing and I won’t fall off the word-count wagon. For a long time, I thought that if what I wrote wasn’t good, there was no point writing it. My flash drive is a graveyard of abandoned manuscripts, and you wouldn’t believe the number of notebooks I have in a storage unit in Wisconsin littered with tidbits of stories I never even began writing. I thought this year would be a panacea – a chance to finally be a full-time writer and turn the frustration of not having enough time to write into an amazing manuscript that would go on to become a cultural phenomenon, or maybe just a thing a few people enjoyed reading, I don’t really know. So far it hasn’t quite lived up to the hype, but the year isn’t over yet.